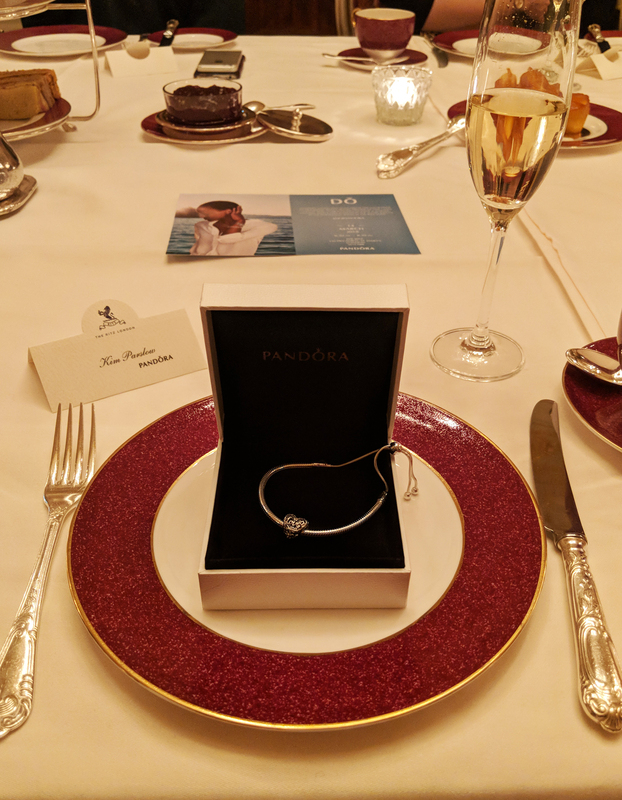 Last month I had the pleasure of joining Pandora for an evening tea at The Ritz in central London, to celebrate their new collection. Designed with friendship in mind, the evening was a fantastic way of bringing many likeminded influencers together, some who I met for the first time that night, and others who I am already good friends with. 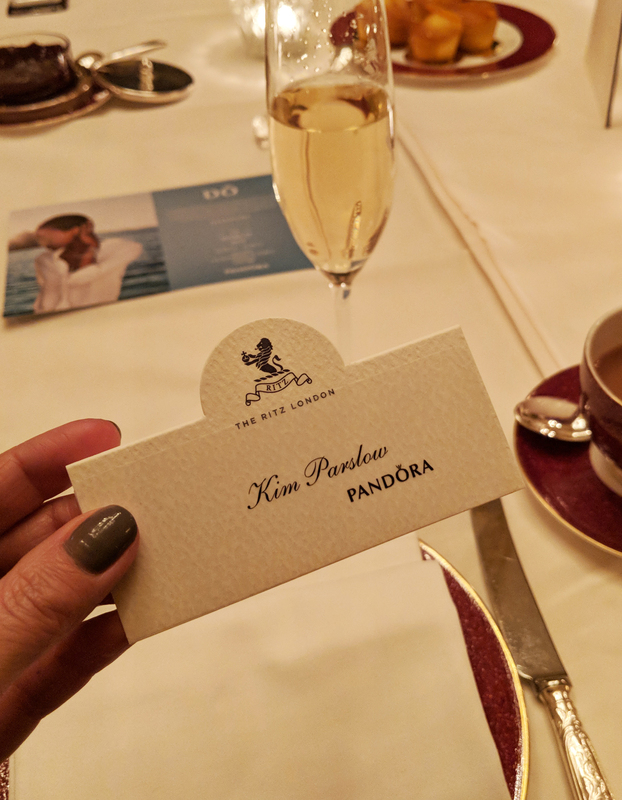 The team at Pandora joined us for the evening, which gave us a great opportunity to get to know more about the brand and hear about their beautiful designs. 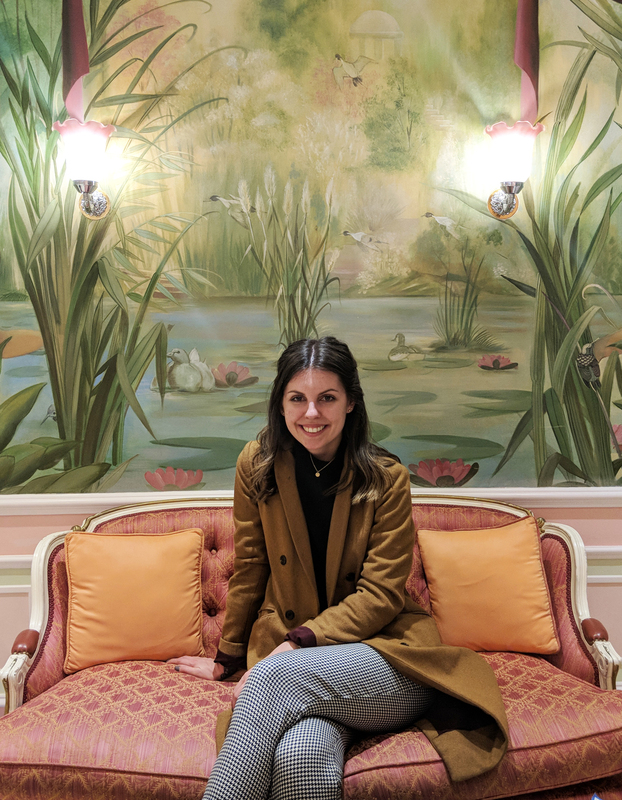 As we sipped champagne and ate finger sandwiches, in the private Burlington room at The Ritz, I have never felt so fancy! 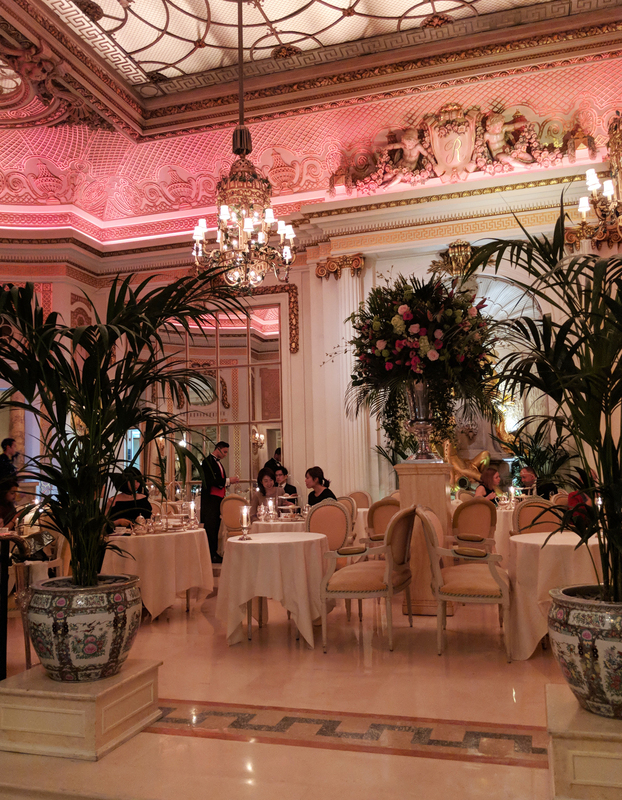 Having never visited The Ritz before, I was super excited to enjoy their famous afternoon tea. From the moment I stepped inside, I was greeted with the most friendly staff, who really go out of their way to make you feel at your best and have a wonderful experience. 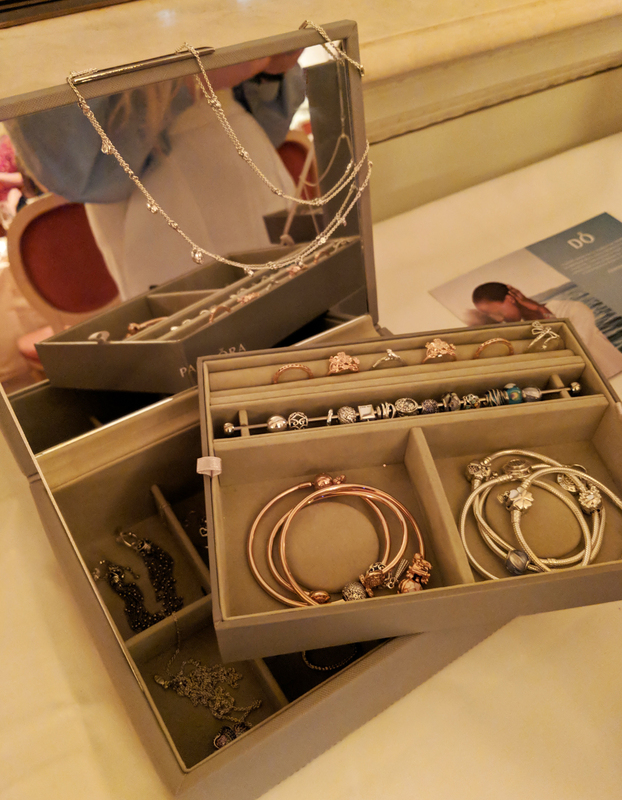 The grandeur of the hotel and its exquisite decor, made the evening that much more special, and created the perfect backdrop to showcase Pandora’s designs. 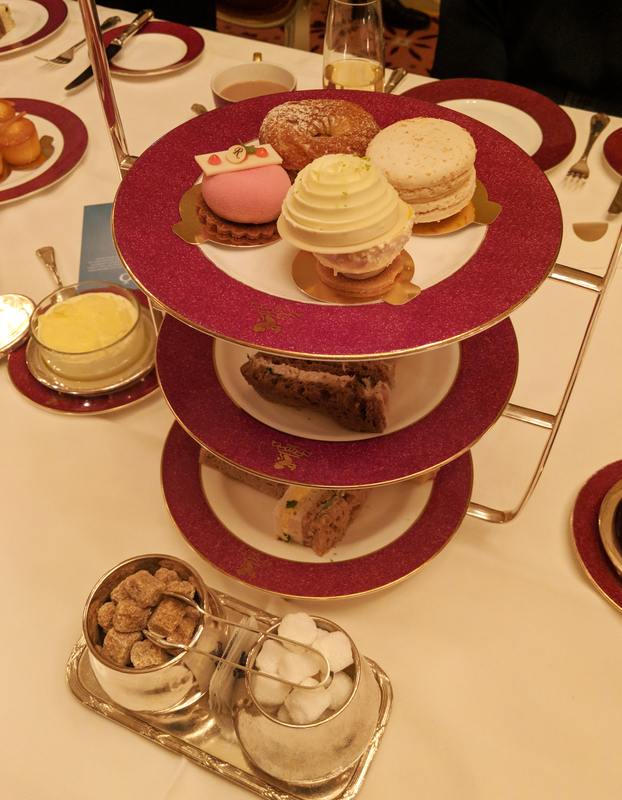 The afternoon tea consisted of a range of finger sandwiches, cakes, pastries and scones. These included Ham with Grain Mustard Mayonaise on Sliced Brioche, Chicken Breast with Parsley Cream on Malt Bread, and Cucumber with Cream Cheese on Granary Bread. Plus freshly baked raisin or plain scones served with Cornish clotted cream and strawberry preserve. 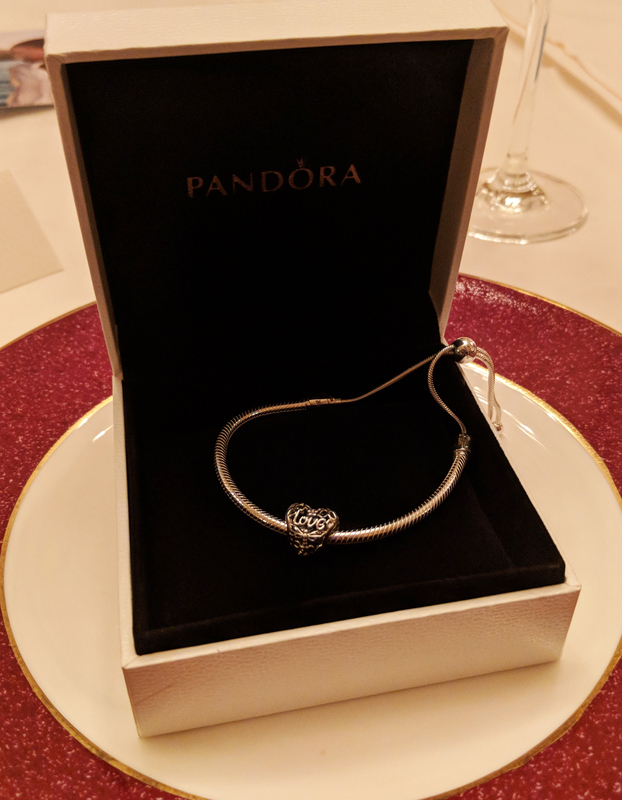 We were each gifted a stunning bracelet to take home with us, as a gift of friendship from Pandora. This included the Moments Silver Sliding Bracelet, priced at £55, and a Love heart charm which I can’t find on their website, but is very similar to the Flourishing Hearts Charm, priced at £25. Being a fan of very simplistic jewellery, I was impressed with this particular bracelet. It’s so delicate on my dainty wrists, and is in-keeping with my minimalistic style. I’m excited to now own my very first Pandora bracelet. I have lots of friends and family members, who love Pandora, collecting so many of their charms. I love this about the brand, that each customer and have their own personalised, completely unique bracelet. The charms allow a person to bring out their personality in their bracelet, and create something very special to them. I think that’s a lovely idea. Do you wear Pandora? Do you like the bracelet I’ve been gifted?